Danielle Russo has been presented nationally at the American Dance Festival, Jacob's Pillow and The Yard; internationally in Austria, Belgium, Canada, France, Mexico, Panama, South Korea, Spain and Sweden. She is currently a LEIMAY Fellow; performance highlights include Ace Hotel, American Dance Guild, Armory Arts Week, BAAD!, Julian Schnabel’s Casa del Popolo, Center for Performance Research, Gowanus Art + Production, HERE Arts Center, and La MaMa, to name a few. Danielle holds a BFA in Dance and a BA in Anthropology from New York University's Tisch School of the Arts and a MFA in Dance from Hollins University/ADF where she attended on fellowship. 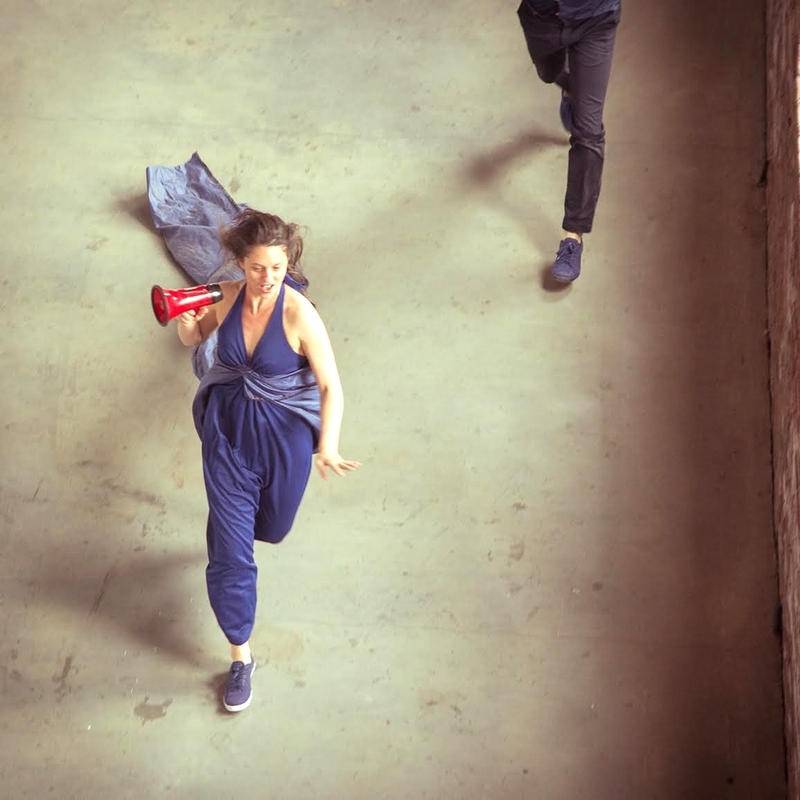 DANIELLE RUSSO PERFORMANCE PROJECT (DRPP) is a network of movement-based artists that design conceptual performances for unconventional formats and spaces. Photo courtesy of the Fader / GIFRIEND. FlucT is a dance company founded by Sigrid Lauren and Monica Mirabile. Together and apart they are FlucT. Most recently, FlucT has been featured on the Fader, noting their partnership as "a personal philosophy that draws largely from their own experiences growing up," but also giving nod "to John Cage’s writing about the role of chance in art, movement therapist Bonnie Bainbridge Cohen’s teachings on the mind-body relationship, and the groundbreaking body of work of composer and choreographer Meredith Monk, who first rose to prominence in the late ‘60s." James Gardella graduated from Wesleyan University with a BA in Dance. He has performed with Ximena Garnica as a part of Movement Research’s in-residence program at the New Museum. James' work has been presented at CAVE, Dixon Place, City Bird Gallery, Con Artist Collective, Gallery Sensei, Center for Performance Research, 177 Canal, Wild Project, Triskelion Arts, and WOW! Café Theatre in New York City. James also performs as drag persona Violet Elixir and is a certified Reiki I and a Dharma Yoga instructor. Shandoah Goldman holds a MA from London Contemporary Dance School as well as a BA from Bennington College. Shandoah has worked and traveled internationally thriving as an artist who loves interdisciplinary and cross-cultural collaboration. Shandoah gives herself Carte Blanche as she takes her creative process by storm to create works for both urban & rural landscapes, private events and screen, as these nontraditional venues become her 'stage'. Sigrid Lauren creates performances, is a movement coach, and is 1/2 of FlucT, a performance art collaboration with Monica Mirabile.